The economic crisis in Europe has brought about recession, austerity measures, and the acknowledgement of an institutional debt crisis throughout the region. It has also given nationalist parties in Catalonia and Scotland the platform to launch concrete efforts toward gaining secession from their respective states. Catalonia and Scotland are two cases of growing secession movements in Europe attracting the most attention. There is good reason for that attention. Success is no longer a pipe dream in these nations. It is now a “yes” vote on a referendum. 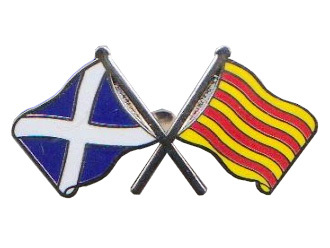 While both referendums for secession are scheduled for 2014, the most important time period in the secessionist movements is right now. For Scotland, it is the time for convincing a populace (which relies heavily on Westminster funded social programs) that economic autonomy would allow for the same – if not better – quality of life. For Catalonia, it is the time to make the final stand against Madrid’s austerity measures through budget negotiations. The pressure is on President of the Catalan Parliament Artur Mas and Scottish First Minister Alex Salmond from their respective parties to deliver on the lofty goals for secession. However, when comparing both movements it becomes clear that one may have an easier go of it than the other.